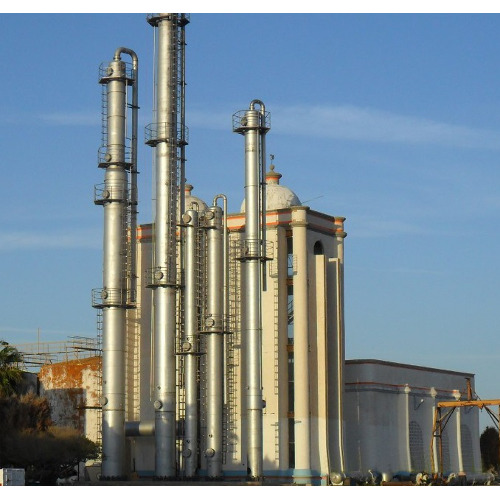 Ethyl Acetate Plants are designed mixing acetic acid and ethyl alcohol in a balanced proportion through a preheater to a kettle reboiler for distillation purpose. These plants are used in various cosmetic, chemical and pharmaceuticals industries for processing and storage of various products. Further, these plants and machines are designed and developed in different technical specifications, which fit the diverse requirements of the clients. Ethyl Acetate is an organic chemical which has a pleasant fragrance and is colorless and low toxic in nature. Processed in these plants using top quality ingredients, our offered products are highly miscible with diethyl ether, acetone, ethanol & benzene and are widely used in nail polish remover & glues. We have gained immense appreciation among our clients for our manufactured and supplied assortment of Ethyl Acetate Plants. In this plant, acetic acid and ethyl alcohol is mixed in a balanced proportion through a preheater to a kettle reboiler for distillation purpose. This plant is known for its robust construction and ability continuously running at even high speeds.